WASHINGTON -- A European Union decision to treat Uber Technologies Inc. like a taxi company spotlights a trans-Atlantic divide over how governments cope with disruptive technologies and could embolden U.S. cities to restrict the ride-sharing service. 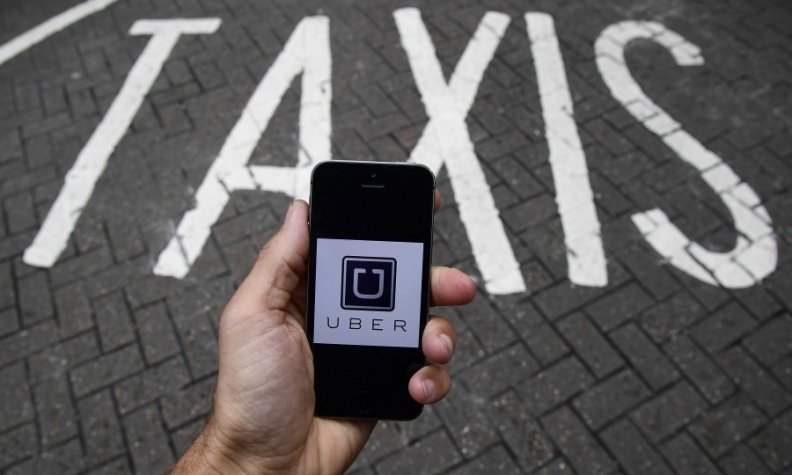 The EU Court of Justice on Wednesday ruled against Uber, which had argued it’s a technology platform connecting passengers with independent drivers, not a transportation company subject to the same rules as taxi services. In the U.S., states have passed broad-based laws governing ride-sharing businesses, brushing aside traditional taxi-industry regulations for Uber and Lyft Inc.
"There’s a philosophical issue that we don’t have here,” said Matthew Daus, a lawyer and former chairman of the New York City Taxi & Limousine Commission. "The U.S. approach to policy has been more heavily driven by tech-based capitalism, while the European response has been to put the brakes on services that are not licensed businesses." The ruling comes as European authorities have battled with Silicon Valley’s biggest technology companies. Clashes include Apple. falling out with Ireland over a 2016 decision to pay $15 billion in back taxes, Alphabet’s Google being hit with a record $2.8 billion fine over shopping ads, and Facebook and Twitter facing inquiries for the spread of hate speech. Paris regulators are clamping down on Airbnb, treating the home-rental website like a hotel. The EU ruling could inspire some cities that have already had a prickly relationship with the ride-sharing services. San Francisco’s city attorney is investigating whether Uber’s service is a public nuisance. In New York, officials are mulling ways to tighten controls. And Seattle has passed an ordinance to make it easier for Uber drivers to unionize. “I’m sure some cities will take inspiration,” Gary Hufbauer, senior fellow at the Peterson Institute for International Economics, said in an email. “Regulation of taxis in the U.S. is generally the responsibility of each city where they operate." Uber’s EU case has been closely watched by the technology industry because of its precedent for regulating the gig economy, where freelancers make money by plying everything from spare rooms to fast-food deliveries via apps on smartphones. “If the sky doesn’t fall on Uber, it tells other markets like New York and Los Angeles there are things you can extract without killing their business,” said Jon Orcutt, director of communications and advocacy for the TransitCenter, a New York-based nonprofit that advocates for mass transit. Daus, the former New York official, said the EU puts a premium on safety issues and worker rights. “If more of these decisions come down it could have a cascading effect” on American policy makers, he said. “However, millions of Europeans are still prevented from using apps like ours,” the company said in an email. Uber’s record of satisfying customers and drivers alike may insulate it from skeptical city officials, said Joe Kennedy, a senior fellow at the Information Technology and Innovation Foundation in Washington. “Both sides feel that given their likely alternatives, Uber is an improvement for them,” Kennedy said in an interview. “Consumers are better off, and Uber drivers aren’t complaining too much." “I think that’s why we’re ahead in the technology race, which also bothers them,” Kennedy said.